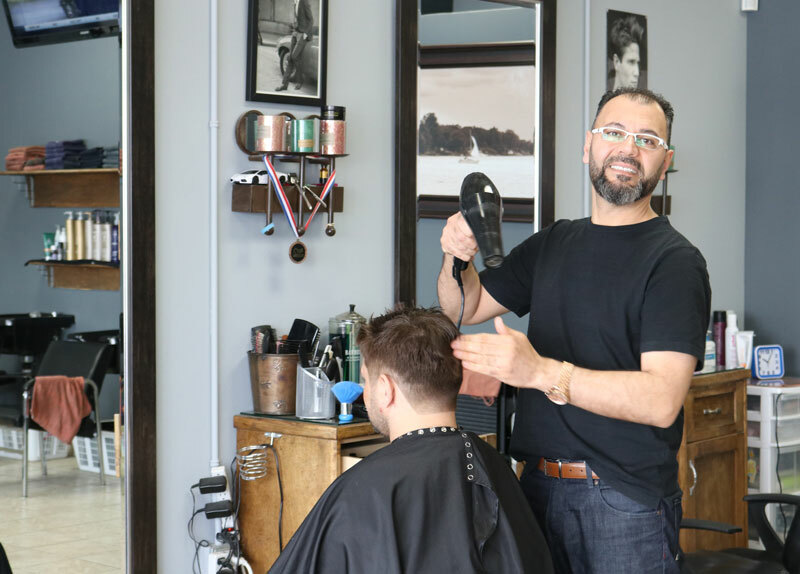 Business owner Malek Elbirani strives to ensure every client who walks through the door is treated like family. Elbirani first opened Malek’s Barbershop 12 years ago but has been cutting and styling men and women’s hair for 25 years. After moving his family to Chestermere, Elbirani quickly noticed a need in the community for a local go-to barbershop. “I’ve always loved it, I love to do hair. It’s not a job to me,” he added. Elbirani is always at the barbershop. When a client comes in they can expect to be greeted with a smile six days a week, from morning until closing. As a way to thank the community for supporting and enabling him to pursue his passion, he donates gift certificates for free haircuts and products to local sports teams and events..
“Thank you to everyone in the community for their years of support. I’m lucky to be here, and I’m happy to be here,” he said. Despite always being at the barbershop, Elbirani makes a point to sit down and have a family dinner every night. “We have four kids, and one is graduating this year. Between being here and at home it can be very busy, but I focus on the kids a lot,” he added. Elbirani’s wife, Hoda said the main reason Malek’s Barbershop has been successful for over a decade is because they are committed to their jobs. “We’re happy to help, and we make it work. Whatever happens we’ll make it work,” Hoda said.